Sustainability, reliability and ease of use are all designed into the new MIXPAC™ adhesive packaging solution. 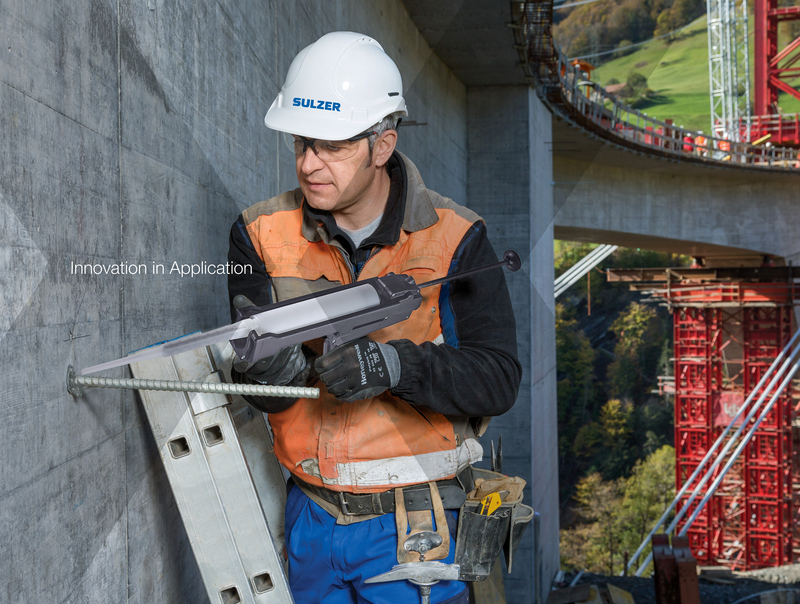 Sulzer Mixpac will showcase its latest innovation at World of Concrete 2019 alongside a range of existing products. Sulzer’s new solution could have an essential and sustainable impact on the industry. The aim is to reduce 2-component adhesive and sealant waste remaining in the packaging after use; and at the same time significantly reduce packaging waste compared to conventional cartridge based systems. WOC is the largest event for concrete and masonry professionals internationally. Key focus areas include technology for construction, precast solutions, surface protection, reinforcement and repairs of concrete materials. Sulzer is looking to promote sustainability at the Las Vegas show, while also demonstrating enhanced usability for its products. Working with adhesives causes waste. Hence, Sulzer has developed a new packaging system that allows the customer to not only reduce waste but also reduce total system cost along the value chain. At the same time, important technical topics such as barrier properties can be addressed and improved in the customers development process. The new packaging system is compatible with the existing MIXPAC™, COX™ and MK™ dispensers’ range. Having this system approach in mind ensures an easy and efficient use for the end-user and contributes towards achieving superior quality and performance. Visitors to the Sulzer stand will be able to see, touch and feel the new products alongside a range of existing dispensing solutions. Furthermore, the recently launched battery-powered COX™ ElectraFlow™ Dual Ultra two-component dispenser offering high performance and ease of use will be exhibited as well. Image Caption: Sustainability, reliability and ease of use are all designed into the new MIXPAC™ adhesive packaging solution.